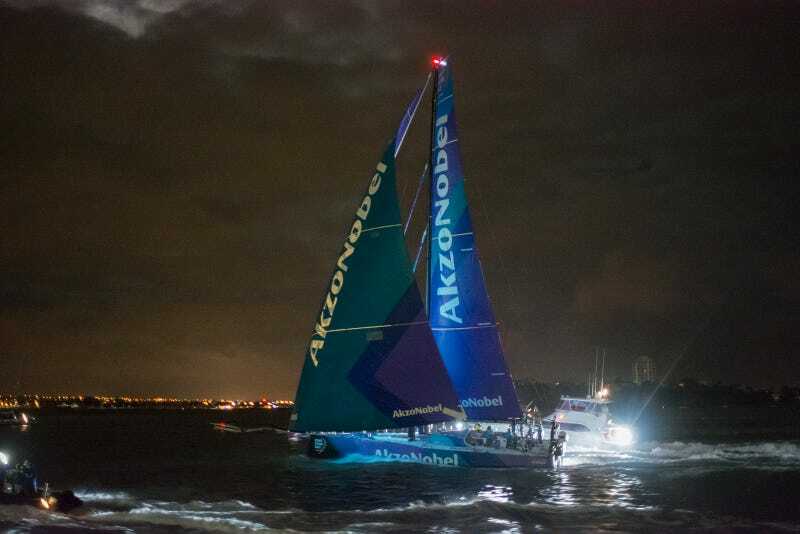 The Volvo Ocean Race fleet screamed into Auckland in the early hours of Wednesday morning greeted by a surprisingly large number of boats, myself included. It was 1am and blowing 25 knots so things were a little hairy navigating and taking photos at the same time. Also a test for my camera and my ability to stay somewhat still while snapping away. These boats left Hong Kong 20 days ago and the top 5 arrived within half an hour of eachother, and the top 2 within 2 minutes. Crazy match racing down the coast to finish. Amazingly close racing over such a long distance. They’re in town for a couple of weeks with a few in-port races before heading off on the next leg.